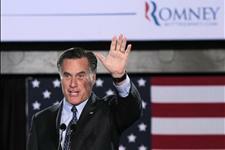 The latest Rasmussen Polls are not particularly encouraging for Mitt Romney supporters. While Mitt Romney has led in the daily Presidential tracking polls for the last several days after the fade of the Democrat convention bounce, he is trailing slightly in some of the key battleground states. Learn more about the latest Rasmussen polls here! There are several toss-up states that are going to determine this election. The other states have been virtually decided. The magic number to win the presidency is 270 electoral college votes. It appears that Obama already has 247 Electoral College votes that should go in his favor. Romney already has 196 electoral college votes that are secure. There are a total of 95 toss-up votes that could go in either direction. Colorado is in a dead heat right now, with both candidates polling at 47%. The state of Colorado is worth 9 votes. Romney needs Colorado to win the presidency. Romney has retaken the lead in Missouri. He leads Obama by three points with a 48% to 45% advantage in the state. Missouri is worth 10 votes, and Romney has led in most polls, so we expect this state to go to Romney. This state used to lean Republican, but it went to Obama in 2008. Virginia is worth 13 electoral college votes, and Obama leads Romney 49% to 48% right now. Romney probably can’t win the presidency without Virginia, so he needs to spend more time in Virginia. Like Virginia, this race is extremely close. At 18 electoral college votes, Romney must win this state too. Obama leads Romney 47% to 46%. With less than two months to go before the election, Romney has a lot of work to do to win Ohio. Wisconsin is worth 10 electoral college votes. Romney leads Obama by 1% in Wisconsin. In July, Obama was ahead of Romney 3%, but this changed once Paul Ryan was selected as Romney’s running mate. Ryan is from Wisconsin, and Romney probably won’t win the presidency without winning the state of Wisconsin. Iowa is worth six votes, and Romney leads Obama 46% to 44%. This state is important to the candidates, but it is not worth as much as the other swing states. Overall, it is possible that Romney could win the popular vote, but lose the electoral college vote. He is going to have to win Virginia, Ohio, and Florida to have any chance to win the presidency. If the elections were held today, President Obama would likely win a 2nd term. What happened to the poll last night where you had all those states you didn’t poll. Fox news a conservative think tank like you mislead the people . I f people would do research they would not believe athing you say. I am consultating an attorney to get you off the enternet. Folks…I approved this comment so that you can all see just how wicked and corrupt the extreme left is in this country. They don’t just want to be right…they want to silence us. They don’t believe in free speech…as Robert Brown has shown us here. This is what the Rich and dum republicans want. That is absolutely a lie Jake you you are trying to make the hard working peole here to believe here. In the USA to believe I have voted republican before, have you ever voted liberal?